January 26, 2010- At 18:10 stations 1 & 2 were dispatched to the area of 25 Market Road, North Manheim Twp, for a motor vehicle accident with unknown injuries. Chief 723 (Donatti) arrived on scene to find a single car MVA with no injuries. Once Rescue 727 and Engine 733 arrived on scene, they checked the vehicle for any leaking fluids and awaited the arrival of State Police. All units were placed available in about 35 minutes. January 25, 2010- At 12:08 the Schuylkill Haven Fire Department and Cressona Fire Department were dispatched to The Surgical Center in the Cressona Mall for an automatic fire alarm. Once all the crews on scene, an interior and exterior investigation was done, but after about 40 minutes it was determined to be a false alarm and everyone was placed available. 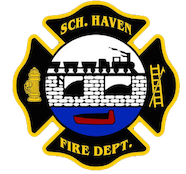 January 25th, 2010 – At 00:48 the Schuylkill Haven Fire Department was dispatched to 33 E. Williams Street for a reported smoke detector activation. PD and Chief 720 (Peel) arrived on location and advised all incoming units that the alarm was actually coming from the rear of 28 E. Penn Street. Units arrived on scene and determined the alarm to be faulty and were placed available in approximately 20 minutes. January 24th, 2010 – At 12:36 Stations 1 & 2 were dispatched to the area of 30 E. Second Mountain Road (North Manheim Township) for a motor vehicle accident with entrapment. Crews arrived on scene to find a vehicle down an embankment with confinement. The vehicle was immediately stabilized and the patient was removed from the vehicle. Rescue 727, and E-733 remained on scene for approximately 2 hours. January 23rd, 2010 – At 3:22 the Schuylkill Haven Fire Department Rapid Intervention Team (R.I.T.) along with Rescue 727 were dispatched to 24 W. Rauschs Road, East Brunswick Township for a working structure fire. Crews arrived on scene and staged for approximately 2.5 hours. Responding units were Squad 739, Engine 733, and Rescue 727. January 19, 2010 – At 13:37 Stations 1, 2, & 4 were dispatched to the area of 616 Berne Drive for a Medical Assist. Crews arrived on scene and assisted EMS (Medic 63-01) with lifting and transporting the patient to the medic truck. Chief 722 (Sattizahn) and all Schuylkill Haven units cleared the scene in about 40 minutes. January 19th, 2010- At 6:24 Chief 722 and PSP were dispatched to the area of 643 Deiberts Valley Road for unknown alarm sounding in the area. After arriving on location Chief 722 requested to have Stations 2 & 4 dispatched from the borough for further investigation. Crews arrived on scene and investigated the alarm and found nothing out of the ordinary. All units were placed clear and available after about 20 minutes. January 18th, 2010 – At 14:13 Stations 1, 2, & 4 were dispatched to 212 University Drive for a smoke in a school. However, as units began to respond, Chief 722 arrived on scene and had a all units cancel their response.